Regal three wheeler in Looe. 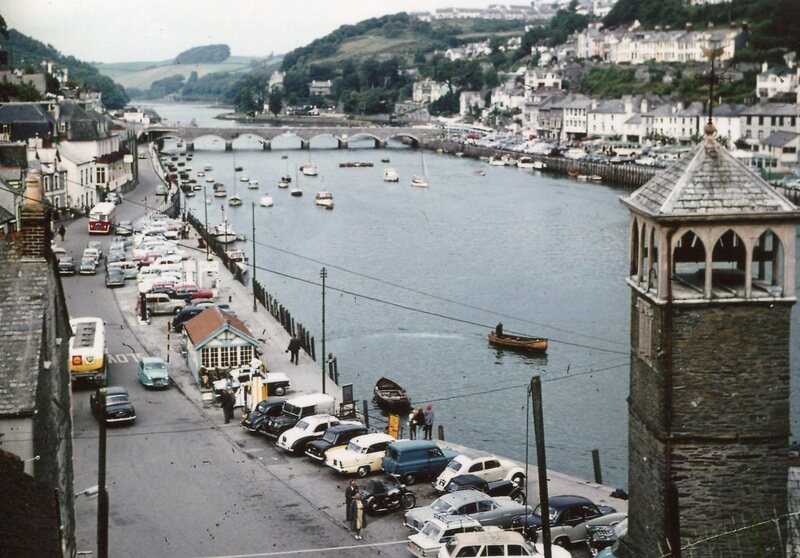 Looking more like a little blue motor launch than a car, a Reliant Regal three-wheeler tootles along the quayside at Looe in Cornwall some time in the sixties. During this time 99% of all cars on the roads in Britain were British, but if there was a foreign car in the picture it was almost inevitably a VW Beetle and there it is, close to the water’s edge in the foreground. A small estate in Sussex.